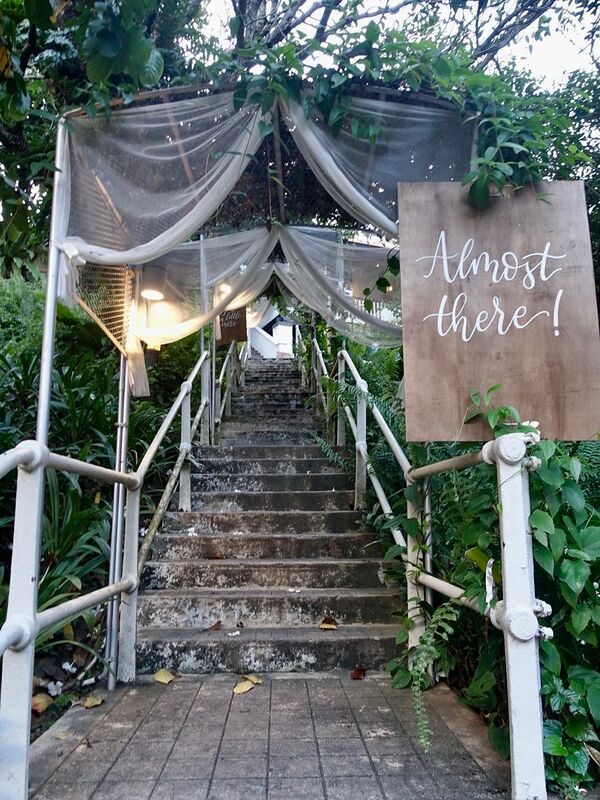 Looking for a romantic spot for a date or for an intimate wedding? 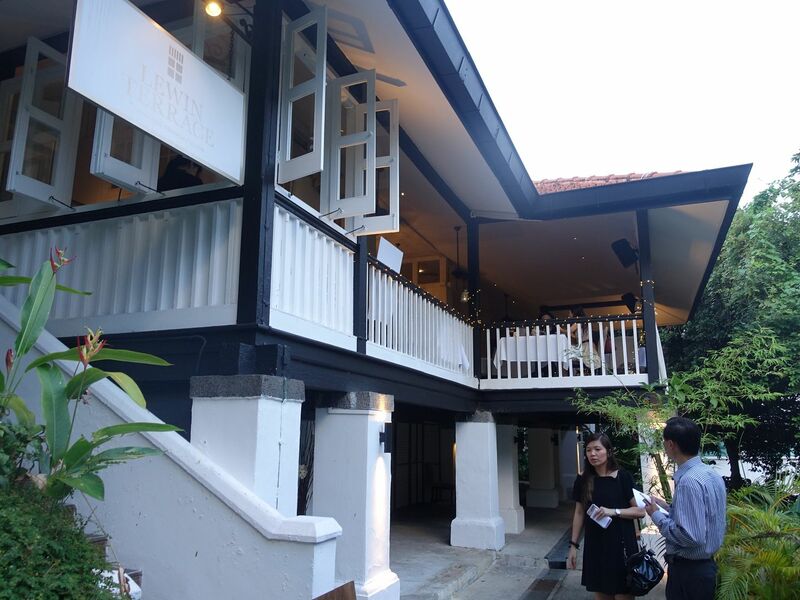 Consider Lewin Terrace, a Japanese-French fusion restaurant housed in a gorgeous black & white bungalow and nestled amidst the lush greenery of Fort Canning. Take it from the experts, my dining party of bridal publication writers said that Lewin Terrace serves the best food in their category (boutique wedding restaurants i reckon). I definitely agree with the made-in-heaven marriage between Japanese and French cuisine, which was made better by Executive Chef Keisuke Matsumoto and his team of chefs. Lewin Terrace’s signature set dinner and seasonal lunch menus change every three months due to its produce-driven philosophy. Here's a look at what we had for their special World Gourmet Summit 2017 menu, along with some wine-sake pairing from their extensive and exclusive wine list. We were lucky to try the dishes prepared by Chef Keisuke Matsumoto and critically-acclaimed pastry chef Kiriko Nakamura from Tirpse for this collaboration. 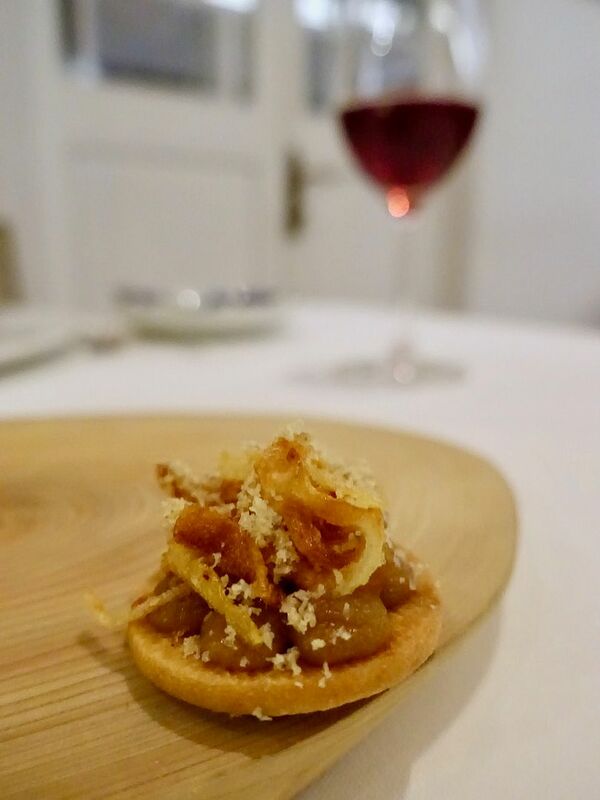 Snack by Kiriko- A delightful pop of onion, shallots and blue cheese powder on a snappy cracker. We had the 2014 Muscat Bailey A “Seiro” L’Escargot” to start. 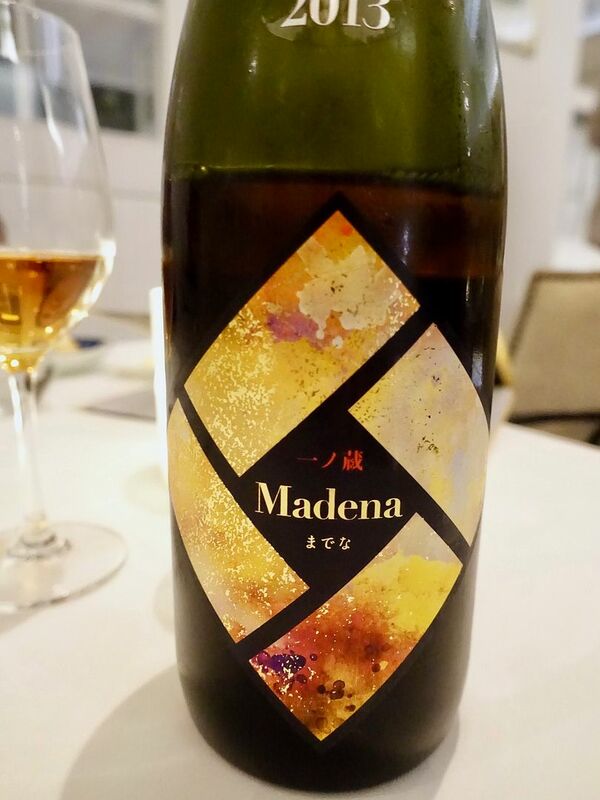 This Japanese wine smells like lily and i loved the fruity and floral notes that end with honey. 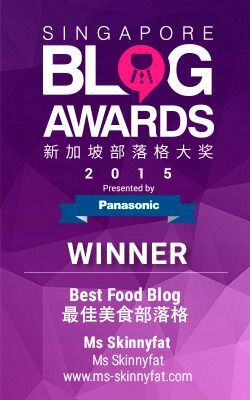 Despite knowing the number of dishes coming up, we couldn't resist the breads! The flower shaped Japanese milk bread was so fluffy i could die eating it. 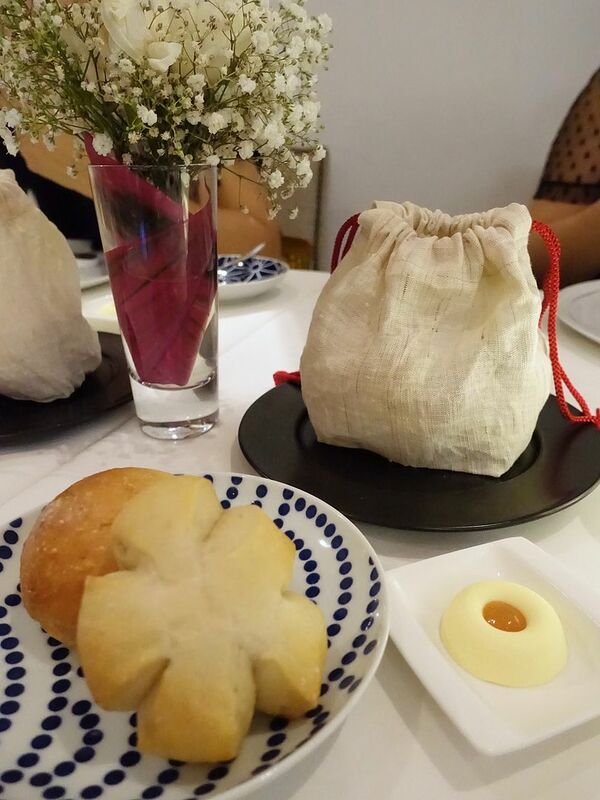 What's best is that the breads are kept warm with hot stones in the linen bag. Wagyu Mont Blanc by Matsumoto. 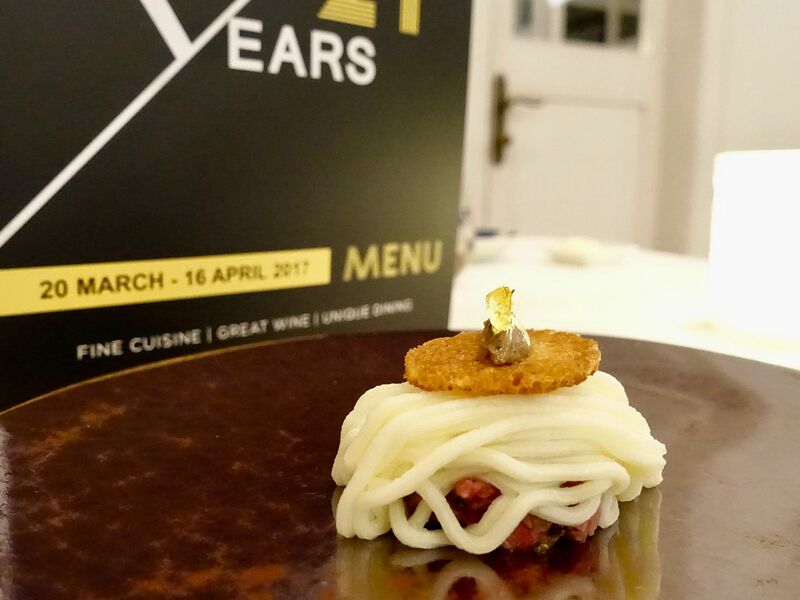 The delicate Kagoshima tartar is flavored with capers, oregano and topped with a garlic crust and sweet black garlic puree. The mont blanc is made with lily root puree, which is flavored with truffle. More from the man, the Sendai-style Bouillabaisse. 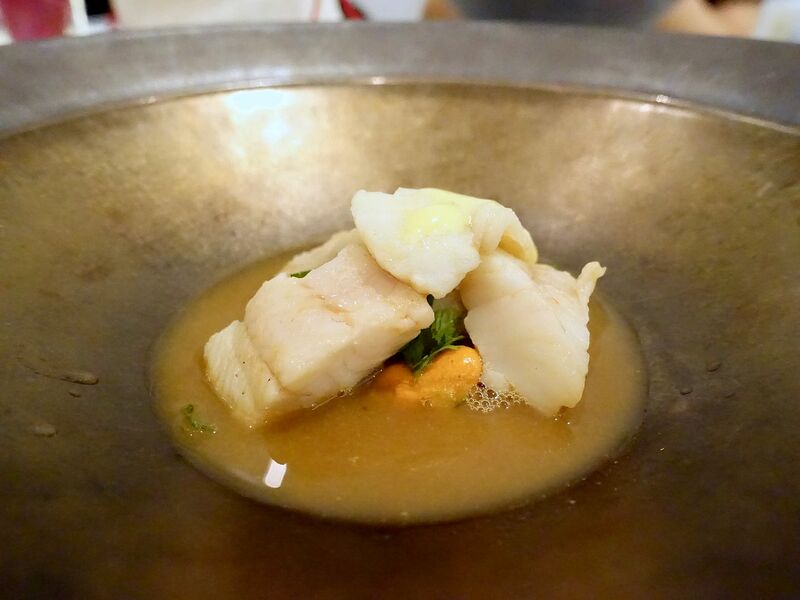 A firm rock fish is used in this dish and we enjoyed the intense seafood flavor from the little mussels. The dish is a lot lighter than the usual in terms of mouthfeel but it's certainly not lacking in the flavor department. My fear of pigeons were somewhat squashed with Matsumoto's version (because #coffeelove). 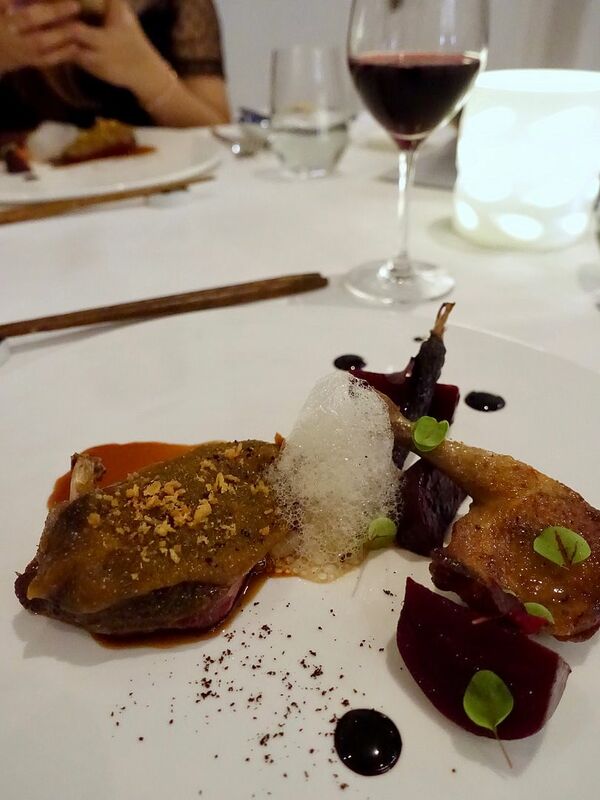 The roasted pigeon is prepared with cacao, coffee and chocolate, and the any possible gaminess was covered by the ginger-red wine-coffee jus. This reminds me of a home-cooked dish of stir-fried liver with ginger. For the pigeon, we had it with the 2012 Châteauneuf du Pape Domaine du Vieux Lazaret. Jammy notes with spice in this one, which is better enjoyed after giving it more time to breathe. Be patient and you'd be rewarded. Then, i had one of the best sake in my life. Presenting the vintage Ichinokura Syuzo Madena sake from Miyagi. This is aged using the Solera system. What's interesting is that it smells super umami and you get the taste of that saltiness that ends with maple. I'll get a glass of this ($16/50ml) on its own while it lasts because it's rather limited. Available for this spring! 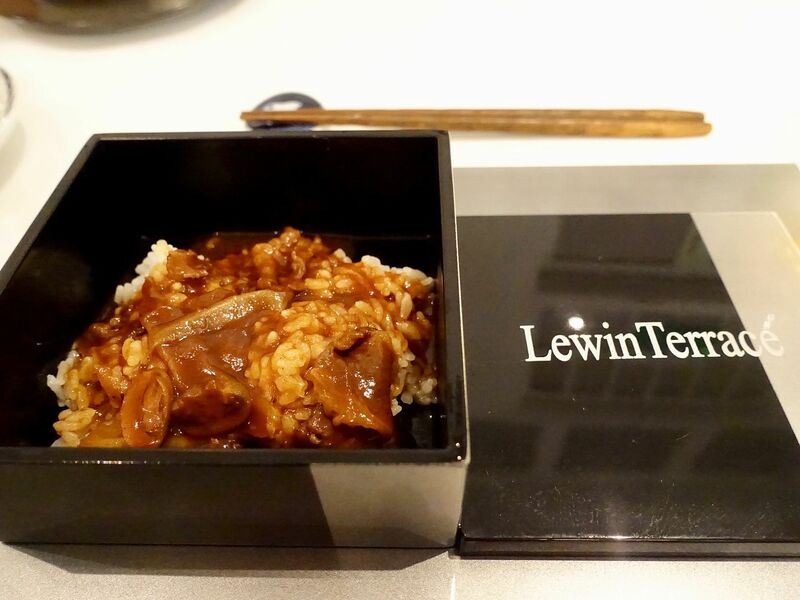 For some luxe comfort food, the Hayashi rice with beef and onion with demi-glaze. This is perfect with the Madena. Then we had 3 desserts by Chef Kiriko Nakamura from Tirpse (1 Michelin star). 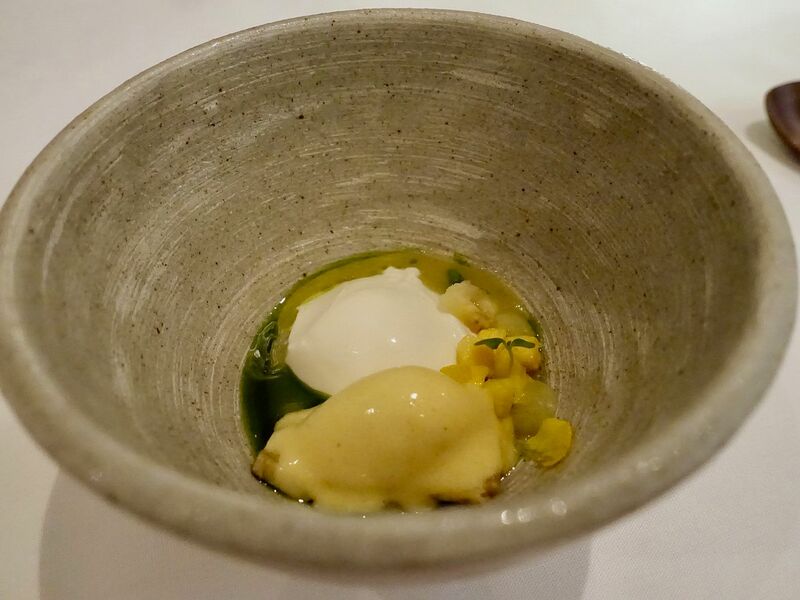 A savory creamy dessert made with coconut panna cotta, a somewhat tart banana-passionfruit sorbet, and a basil emulsion. You either like basil or you don't. But you should get on with it since savory desserts are the thing now. 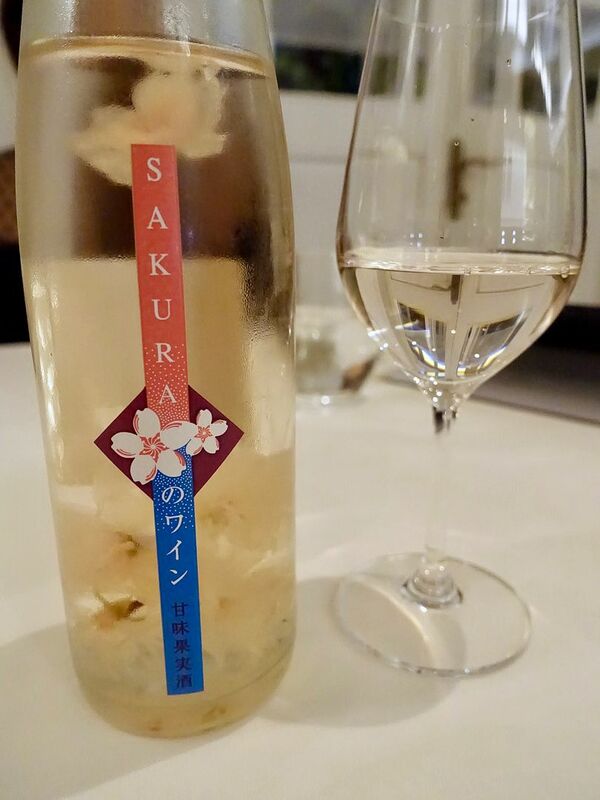 While it's still sakura season, have some pretty pink Sakura sake which has the scent of strawberries. 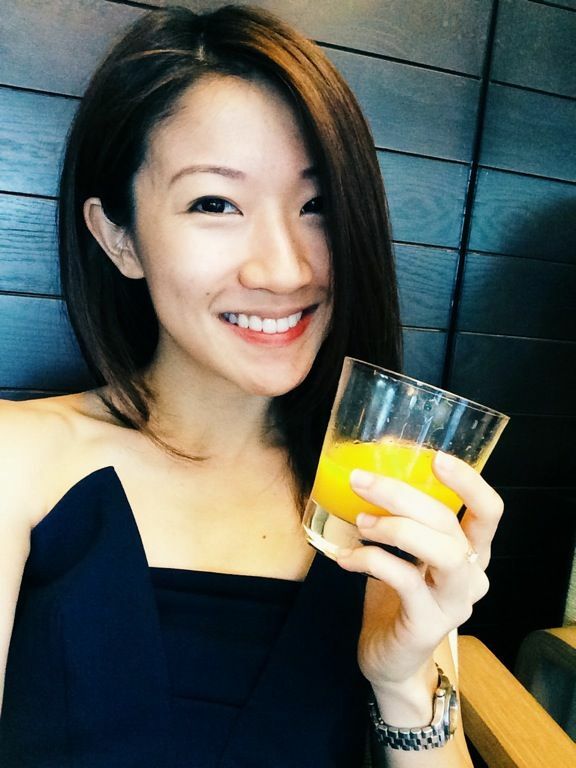 This pale pink drink is like a moscato with a lighter hint of honey. 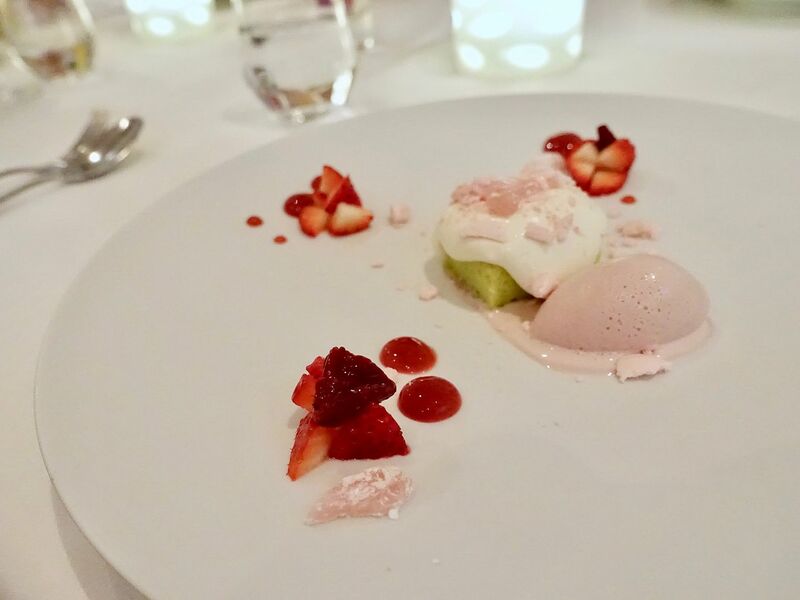 This goes perfect with Kiriko's next plate of spring, an interesting mix of snap pea sponge with Chitose strawberry and sakura ice cream. The pea sponge may be a little weird on its own but it breaks the sweetness of the strawberries and Sakura. 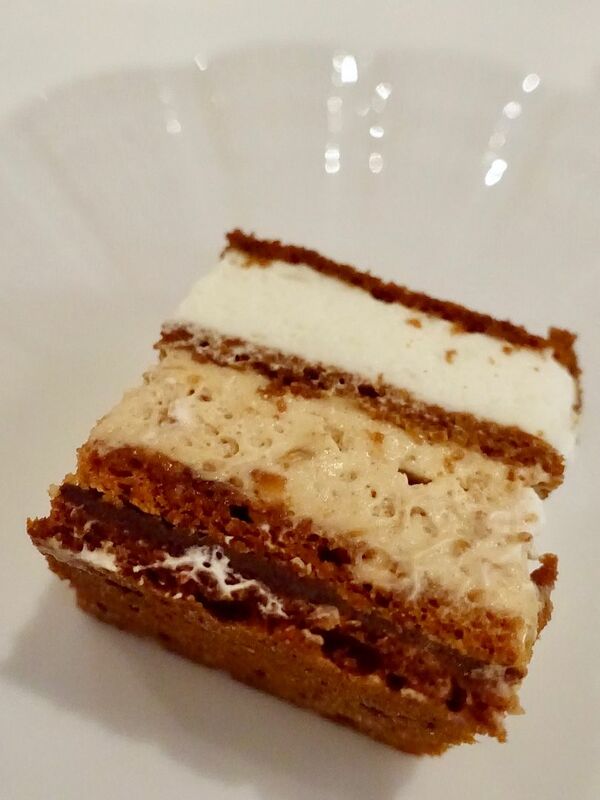 Lastly, a surprisingly light Marjolaine cake with layers of chantilly, hazelnut, and chocolate. Glad we finally made it to Lewin Terrace after so long. Definitely a choice spot for a romantic date for us.